Starting at only $300 each way and the accommodations for up to 6 people it would be the same price as a shared ride without the headache of traveling with others. Express Colorado Transportation promises you 100 % satisfaction.Call our representative today and book you next trip from Denver Airport To Vail Transportation and don’t forget to ask about or Specials. When you choose to ride choose to ride with the best. Looking for an affordable, stylish and on time Denver Airport to Vail Transportation? You are in the right place. 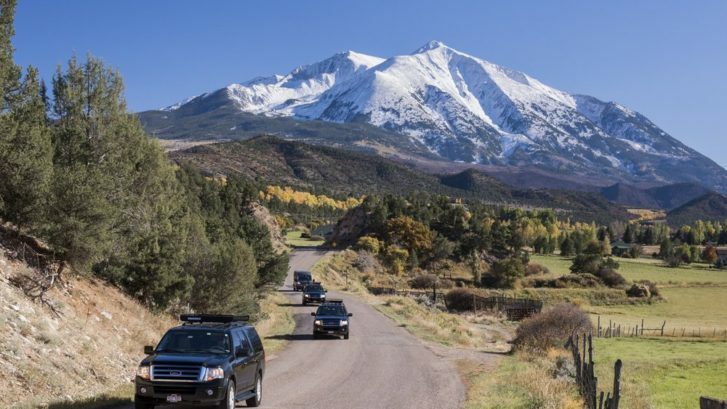 Express Colorado Transportation offers 24/7 transportation car services including private car such SUV, Luxury Sedan, shuttle van and limousine from Denver International Airport to beautiful Vail. Stop worrying about how to get there, and if you missed the last ride to Vail. Our Denver Airport To Vail Transportation will be there for you. When you land in Denver Airport our well experienced chauffeurs will be waiting for you to carter to you and to get you to your destination. We will provide you with the right car that will fit your transportation needs. We offer transportation service from DIA To all over Vail Colorado including Vail hotels and resorts. Express Colorado Transportation is all you need to start a successful vacation with your loved one in Vail Colorado. Express Colorado transportation Offers a great and Affordable rates for luxury cars, handicapped vehicles and shared ride from Denver airport to vail. Express Colorado Transportation is an Unique transportation company where you can find all type of transportation that will fit your needs. Today Vail is a worldwide attraction, a charming tourist town with incredible beauty, adventure and excitement. There are many lodging options, restaurants, various activities for each season and for all ages. This is the best place to ski by day and by night. Challenge yourself in an outdoor adventure and experience a unique vacation. Vail has it all and the best of the Rocky Mountains. Book your Denver airport to vail transportation with Express Colorado transportation.